I found this little set of advice in Washington Post the other day, and without analyzing it further (there are things I might do without and there are things I think are missing) it gives a nice reminder of some of the simple things that makes up a good life. Have a look and see what you think! No 6 on their list is “Travel more” and needless to say, I fully agree! Above: in the middle of Northern Kazakhstan, from May this year. Here is the YouTube video on my previous post. There are of course no easy answers to what it will take to end poverty, or at least no quick fixes, but not ending poverty in a foreseeable future is obviously not an option! For those of you who haven’t yet seen it, I tried to find the original documentary about Malala Yousafzai, her father, and the education ban for girls in a Taliban controlled region in Pakistan. It’s a beautiful movie about amazing people. I remember it being longer than the clip I found here, but here it as least 10 minutes of it. It is difficult to watch without getting tears in the eyes, but it is also inspirational to listen to the views of such fantastic people. It gives me hope for the world and makes any problems seem solvable somehow! I really hope that Ms. Yousafzai recovers fully because the world needs more people like her and her father! So How Are We Doing on Equality? Only a few minutes left of the International Women’s Day and my thoughts go to all women around the world who still live in structural and institutional discrimination, preventing them from making their own choices and living their lives according to their wishes and potentials. With the work that I have, my thoughts go especially to women in the agricultural sector, who in many parts of the world by far outnumber men that are active in the sector, but who due to structural and institutional discrimination don’t have rights to the land they are cultivating, are not allowed to bring their produce to markets, or to be the signatories for contract farming. Instead, men in the household earn the income from the work of the women, and would something happen to the men, the women can be forced off the land at any time by other male relatives. Fortunately, changes are taking place all over the world, and I hope that later in my career, the issues of women’s access to land and markets will no longer be part of my work. For that to happen, change has to take place a lot more rapidly though. 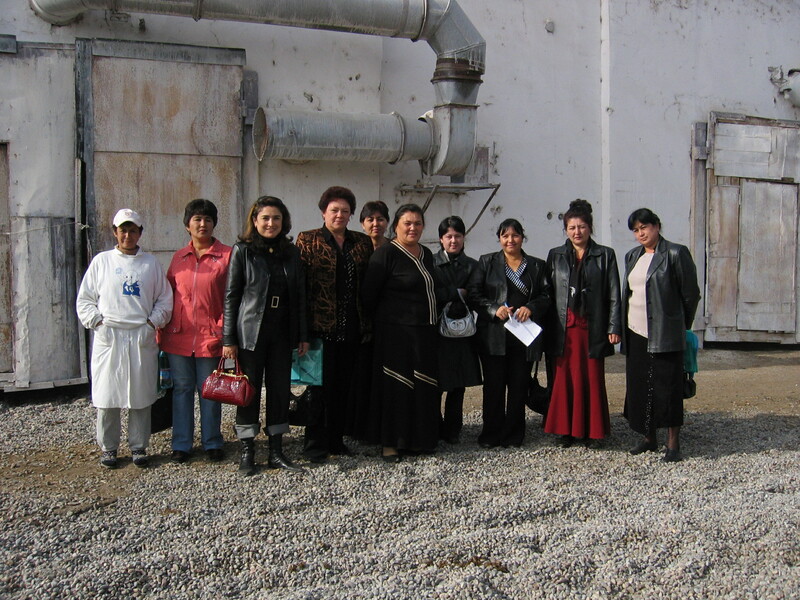 Uzbek female farmers on a study visit at a model dairy farm. There were about 100 men and eight women on the visit (the woman to the left worked on the farm, and another women in the group is part of the Extension Services or the Ministry of Agriculture. if I remember correctly). Since International Women’s Day is more of a day for appreciation of women in Eastern Europe than a day for women’s rights as originally intended, I also got some good wishes today from friends in the East, which was touching! I did get quite a few things done today, and I also managed to squeeze in both ballet and coffee with Monika out by Pentagon City. I had a few errands there, of which one was to get new running shoes. Believe it or not, but I managed to break my old pair. I know, I couldn’t believe it myself. Ballet shoes, yes, but running shoes!!?? 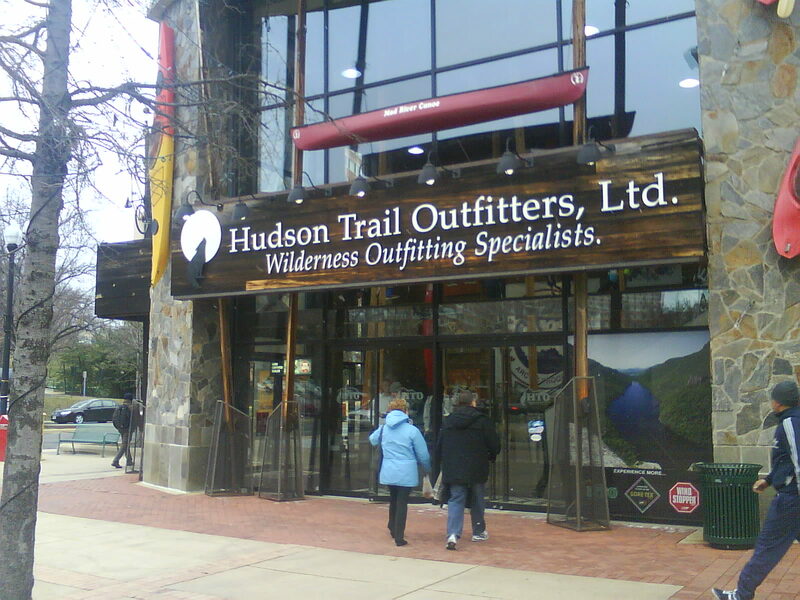 I’m happy if I do a few kilometers per week… Anyway, with a bit of pain in my legs after the morning’s dance exercises, I felt sporty enough to enter Hudson Trail Outfitters at Pentagon Row. I had of course forgotten to research the different brands’ labor standards properly beforehand, so I ended up asking the girl who helped me instead and she told me that there ambition was to keep their standards high in this regard and that they had actually dropped brands before who used child labor. I wish other stores would similarly conscious! Kind of Amazing When You Think About It! I just played a computer game that a friend of mine up in New York just programmed and sent to me. Isn’t that cool?? When I was a kid, we read this story about a little boy (Emil) who carved figures out of wood. He was in fact really good at it and it was an important part of the story. While kids are still kids, and Emil’s worries, life insights, and efforts to be a good person towards others apply also today, my friend just sent me a computer game that he programmed just like that! (And no, he is not a programmer.) Really cool – amazing in fact – when you think about it! And this technology is not only here but everywhere. It is even changing my field of work: Text message and other mobile phone services have turned out to be a great mean for small farmers low in low-income countries to learn about better market opportunities and to offer just-in-time fresh supply to supermarkets and traders. Less cool is that my friend now went out for a drink in NY while it is time for me to go to sleep in Washington DC. Yes, I know, I do have to be a little more positive towards my own city. I will try to write something nice about DC tomorrow! 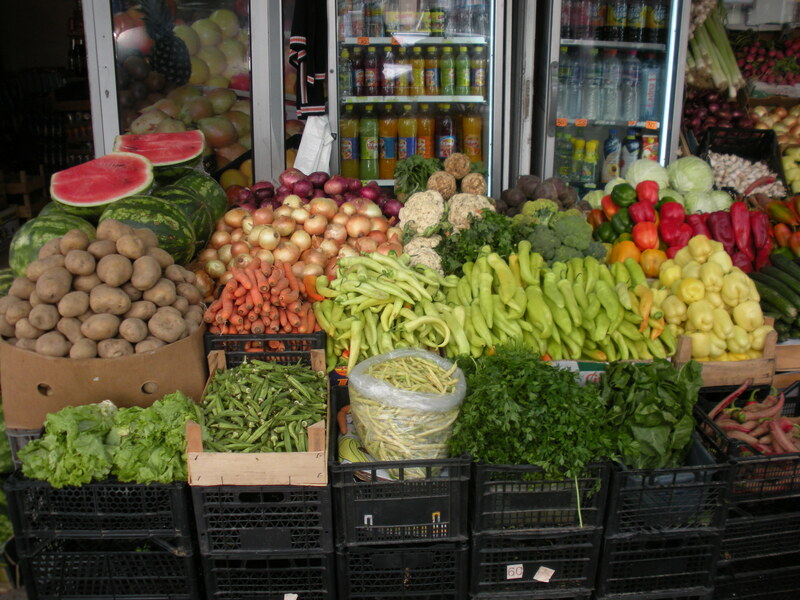 Fresh produce stand in Skopje, F.Y.R. Macedonia: there is a lot of logistic involved in getting the veggies from the farm to the market, but technology makes it a lot easier. It is strange how there seem to be trends in countries to live in. When I was in my 20s, it seemed like everyone passed by Paris or London at some point before or during their university years. Most of my friends were of course Swedish at the time, but still. More recently, it seems like a lot of my friends have ended up in NY and also here in Washington DC, which may have to do with concentration of international organizations here on the American East Coast. But over the past two years, it also seems like Australia and Brazil have become hot destinations. I have four friends (of which two are together) who moved to Australia recently, and I have several friends who have found love in Brazil and have or are moving there. I have of course not been to either yet, but now since I have a reason to go, I started dreaming about both Australia and Brazil. It is also fascinating to experience how the world is getting smaller. I wonder what the next place will be? Probably somewhere in South or East Asia. Or maybe Dubai? Regardless, there are so many interesting places around the world that I am often asking myself why I am staying here in Washington? If President Obama has to leave town in November, perhaps it is time for me to do the same!? I am just home after ballet class and trying to organize some last things before this day is over. This week has passed too quickly – I can’t believe it is already Thursday tomorrow! I am in a hectic period right now in terms of work, but I am doing interesting things, so I really enjoy it. (One of the report that I have been working on now for a while will be published shortly, and hopefully it might get some attention in the medial so that I can show a little of what I am doing here.) In the meantime, you might find it interesting to learn a little more about Chisinau, my hometown for two years (see my blog archive from 2007 and 2008). A Moldovan friend of mine had posted this video on Facebook. It is produced by the Moldovan NGO IDIS “Viitorul” and gives a somewhat more positive picture of Chisinau than is normally presented in Western media. Chisinau is still small in terms of size and economy, but it is a very pleasant city and Moldovans are really great! So I recommend anyone to visit and if I was an entrepreneur, I would definitely look there for opportunities. So enjoy the video – it made me really nostalgic! One of the great things about working in an international organization is all the interesting people I meet and the people that pass by my workplace. Today, I attended a presentation/panel discussion with Georgian President Mikheil Saakashvili on Georgia’s experience in fighting corruption in public services. It was obviously really interesting to hear President Saakashvili’s own version of how his administration over night fired the entire police force and over time built glass buildings for public agencies and police offices in order to enforce transparency and accountability. Corruption is an enormous challenge for countries at all economic levels of development. Whether it is high level corruption or petty corruption, tax payers’ money is wasted and democracy is challenged. One of the most inspiring people that I have ever met was former mayor of La Paz, Ronald MacLean Abaroa, who fought corruption in Bolivia’s capital in the 1980s. He argued that corruption can be minimized in an institutional environment of decentralized decision making, transparency, and accountability. Authoritarian governments, on the other hand, have the exact opposite structures in place, as such systems is based on centralized and discretionary decision making and there is limited accountability of public officials. Thus, when young democracies emerge from such system, the institutional structures have to be reformed or else corruption will flourish according to MacLean. Today, President Saakashvili picked up on the same topic and emphasized that it is possible to turn the page even in a very corrupt society. When he and his administration started this fight almost ten years ago, many had raised doubts and said that it was too rooted in the culture. But, Saakashvili said today “Tyranny and corruption has no claim on any culture!” (with tyranny referring to earlier doubts about democracy ever spreading to the Arab world, that have proven wrong over the last year). I thought that was worth repeating because it is important to remember. His view was however that once corrupt, always corrupt, and that when people cross that line, they always have a justification for continuing. Harsh but maybe true? At the end, President Saakashvili was asked where he saw Georgia in eight years. He answered that the other day he had heard one of the Republican candidates saying that in ten years, the U.S. would colonize the moon, but that he didn’t have equally high visions for Georgia. Instead, he pictured a modern economy with high-speed trains, clean energy infrastructure and transportation, and a generation of well-educated young people exiting the school system. I somehow thought that was a lot bolder a vision than anything I have heard so far from the Republican candidates!